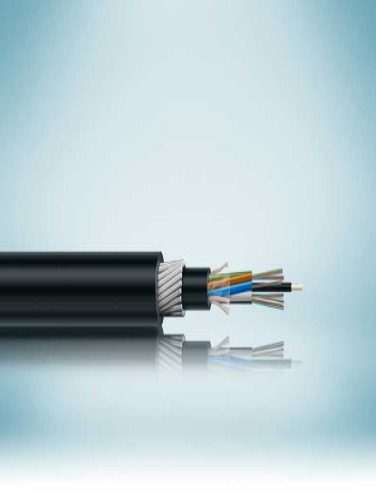 The core of Rhino Multi – Tube Steel Wire Armoured Cable (2F - 96F) is constructed by stranding the buffer tubes around a central strength member. The cable is a stranded loose tube cable with longitudinal water protection enabled by water blocking compounds around the tube and core. It is then surrounded in a black inner sheath with galvanized steel wire armour followed by a black outer sheath. A ripcord is provided under the armour for ease of access. Length option of 2.0 km.